Top spot with COB (Chip on Board) technology! Once again Showlite pulls off an impressive show that shows that you don't have to dish out big bucks for top quality. 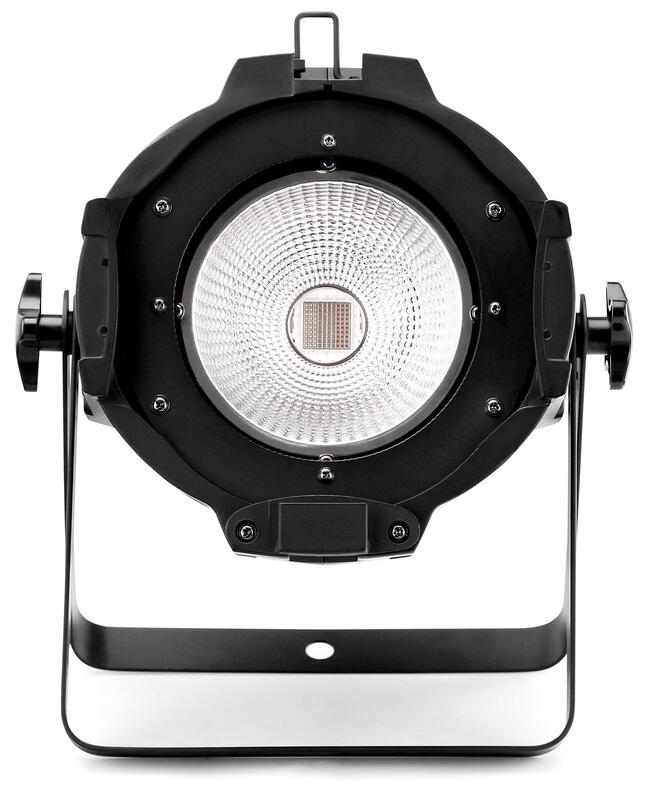 The PAR-90C COB spotlight has an enormous luminosity and offers a variety of control options. The headlight, with its high-performing LED COB technology and RGB color mixing offers impressive color play. With automatic and music control modes – even amateurs can master it! Professionals will love the 7 DMX channels with which they can create powerful lighting scenes. 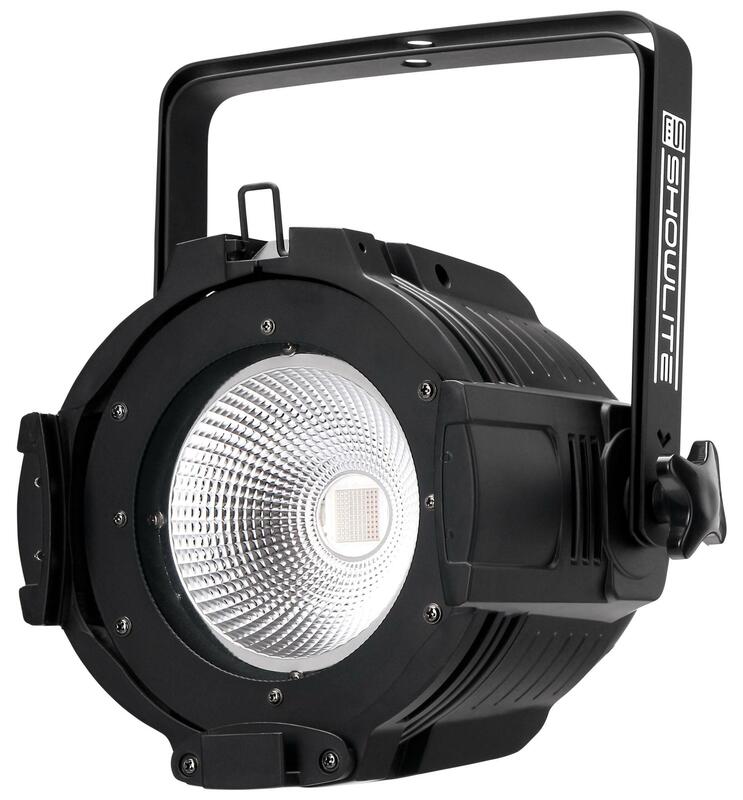 The Showlite PAR-90C COB spotlight is not only effective on small stages, in clubs, or theater, but it is also ideal for large stages and even suitable for the open air. 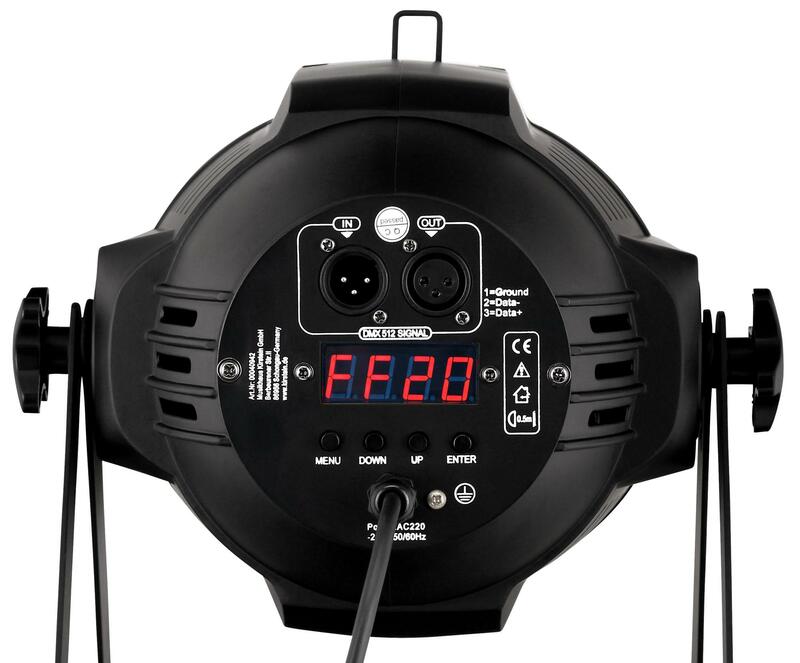 In controlling the Showlite PAR-90C COB spotlight, it is possible to choose between manual control, two automatic modes, each with 100 programs, music control with a demo mode or DMX-controllable with 3-channel or 7-channel mode. Of course, master-slave operation is also available. 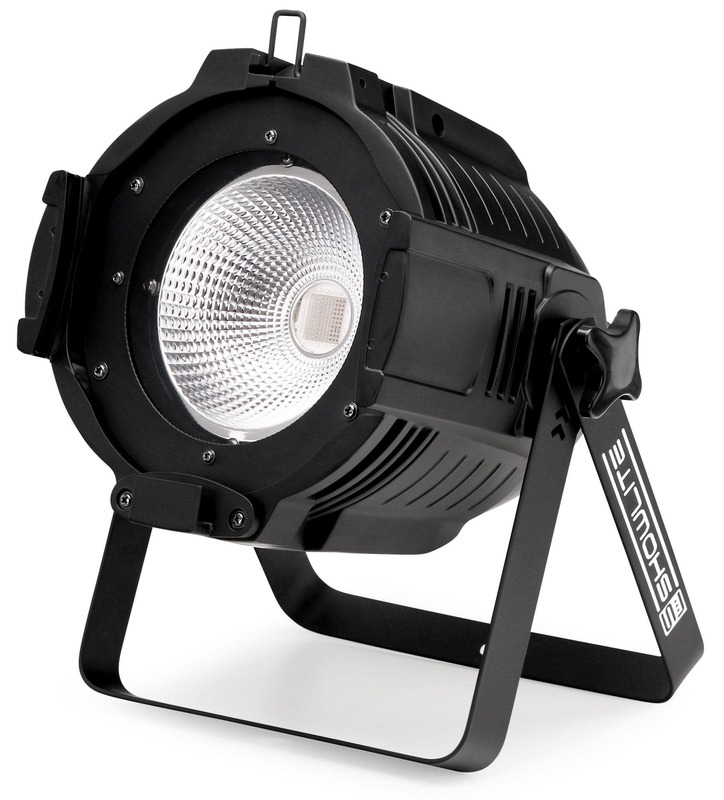 The strobe (up to 20 flashes per second) - and dimming function round out the functionality. 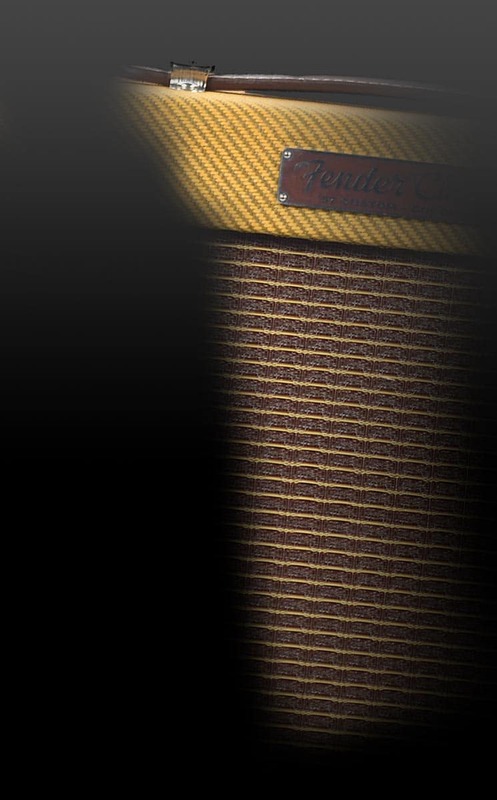 The Showlite PAR-90C COB is equipped with COB (Chip on Board) technology. Thus it shines brighter than conventional PAR lamps with 1000 watts. The COB technology also provides you with stunning colors. The radiator also boasts high energy efficiency, durability (100,000 hours), low heat and a beam angle of 30°. 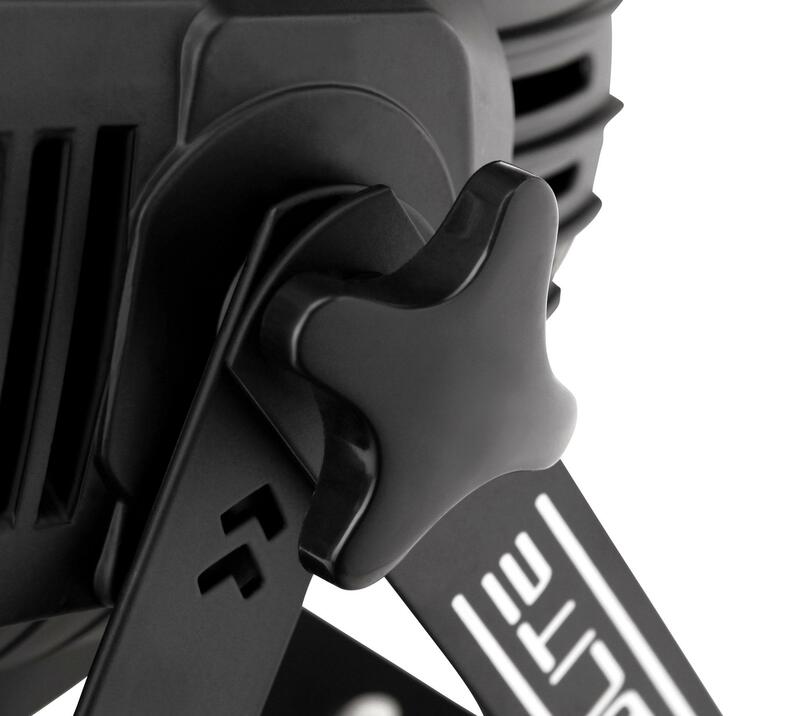 Ultra Bright LED spotlight with top features!